… home of FOSS, open hardware, community-driven, professional digital cinema and imaging tools. For over ten years our worldwide community has been developing a variety of powerful and affordable tools designed to give users absolute and unparalleled control over their creative processes. All projects are made free (in terms of liberty) around open source software and open hardware licenses with any and all related knowledge being made publicly available. To find out more about how this Association functions please see its Mission Statement. "Seriously, this is one of the coolest and most advanced open hardware projects I've ever seen." Because the AXIOM project and the software they originally pioneered are underpinned by the same ethos, Magic Lantern partnered with apertus° Association in September 2014. Since then they’ve been responsible for colour science and raw processing inside AXIOM Beta. 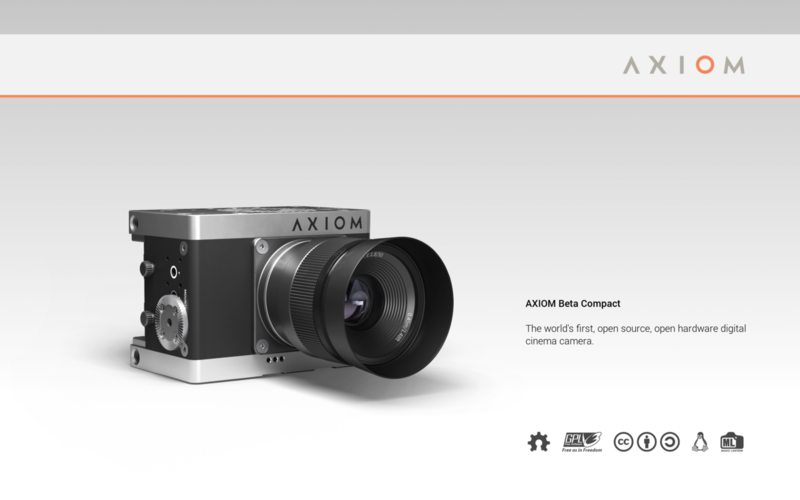 The AXIOM project has been built around the Linux operating system. Together with the development tools it offers, Linux provides unparalleled control over the software functions and processing behind the devices our community is developing. "The beauty of an open source camera to me is a step back toward the dark room, in which making the tools is part of the joy of making the art." All knowledge made freely available. The responsibility to exercise total freedom by creating better tools lies with all of us as individuals. Our association and its wider community has been established so that taking this responsibility on, and thereby rising above the corporations who’ve put limitations on our ability to create freely, is made easier for everyone. The AXIOM project is more than good hardware devices and software applications, it's a library of knowledge that anyone is free to contribute towards building. .
"This gives the power back to the people on a new level... AXIOM opens up everything and creates a platform where everybody can contribute." - Bart van den Boogaard, videographer.